Home » baking » random thoughts. a recipe. future plans. and stuff. random thoughts. a recipe. future plans. and stuff. warning: this blog is not in any chronological order…or in any organized format. i’m sure it will be randomness that will bounce around from thought to thought. enjoy. 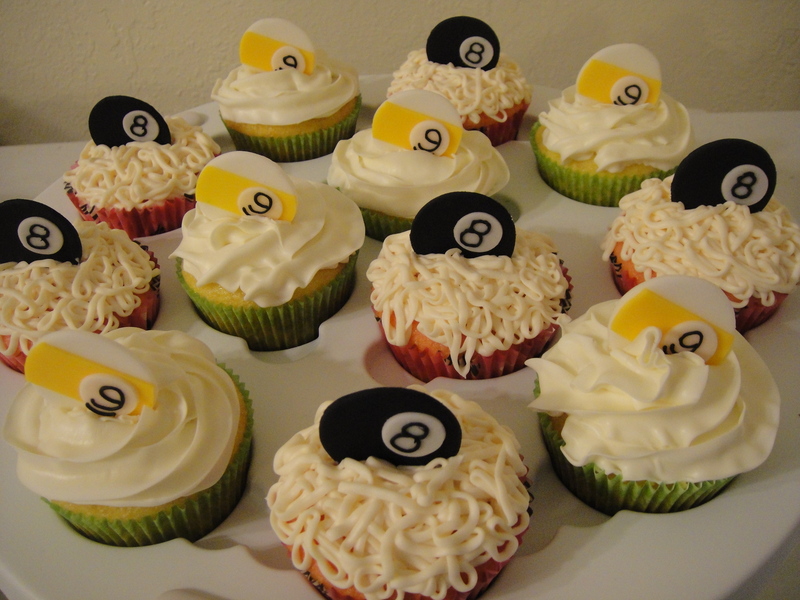 8 ball and 9 ball cupcakes! alrighty then. 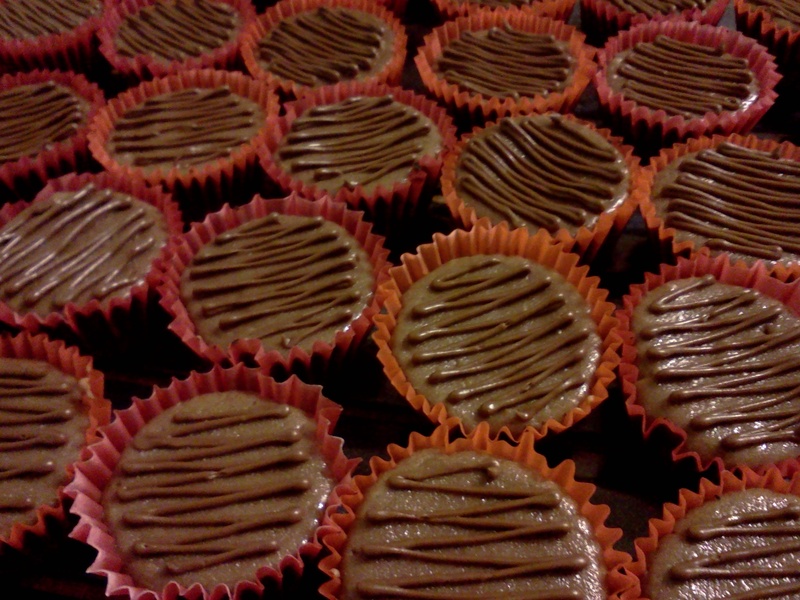 the recipe for the mini nutella cheesecakes…here we go! -6 oreos without the cream filling. i throw away the cream filling. you can eat it. i actually don’t like sugar icing or filling. —->preheat oven to 325 degrees. —->crush the oreos until they are fine. my friend had a PAMPERED CHEF chopper, so i went to town with it and then threw them in a sifter so i could make sure it was VERY FINE…pre-PAMPERED CHEF CHOPPER, i was taking a hammer to the oreos in a ziplock bag. i. will. never. do. that. again. SHOOT ME. -4 oz. of cream cheese which should be room temperature and soft. —->with a hand mixer, beat the cream cheese until it’s creamy. mix in the rest of the ingredients, scraping the bowl in between mixing. use a little spoon to distribute the mixture into the muffin cups. it will be enough to fill each cup. —->bake in the oven for 12-15 minutes. i pull them out after 12 minutes. my brother was my first taste tester. he loved them but he said he couldn’t taste the nutella. he’s ALL ABOUT tasting the nutella. so what i did was throw some nutella in a piping bag and zig zagged a design on the top of the cheesecakes…for more nutella goodness. and there you have it, folks! i did more nutella cheesecakes for my friend’s bridal shower this past weekend and although i love my new dozen pan, i had to run to the store to get a 24 mini muffin pan. i want to make more “mini anythings” with this now…yay! people wonder why i’m single. it’s been almost a year. the answer is this. it’s because i have spent a majority of the year being hung up on a guy that won’t give me the time of day. story of my life. i’m surrounded by great guys and my dumb self is too fixated on someone who genuinely likes me but is not ready to commit. that’s who i am. i’m the girl that you can see yourself settling down with, but you’re not ready to settle yet because you still want to be a boy. the past year has really dragged me down because i couldn’t snap out of it. when you’re told by a few guys about how wonderful you are, but are also told that you’re the type of girl that shouldn’t ever be hurt…therefore they don’t want to pursue you…it kinda hurts for a while. but then it also saves you from wasting your time. i am fully aware that i am not perfect. i know that i may have those days in which i might blame my boyfriend for something he never even did, maybe because i’m just in a bad mood or i’m PMSing (fine, i’ve never done that before, but still). i am fully aware that i make mistakes on a weekly (or even daily) basis. i might have an argument here or there that shouldn’t have even be made in the beginning. i’m not perfect. but if you think i am, then fine. i’ll just find someone who is as “perfect” as i am. and i’ll most likely think of him the way the guys think of me. oh, story of my life. last week, i decided to get a kiddie pool, some bubbles, water balloons, water guns, and a slip n’ slide for the backyard so my nephew and i could have a wateriffic day after he got out of kindergarten. 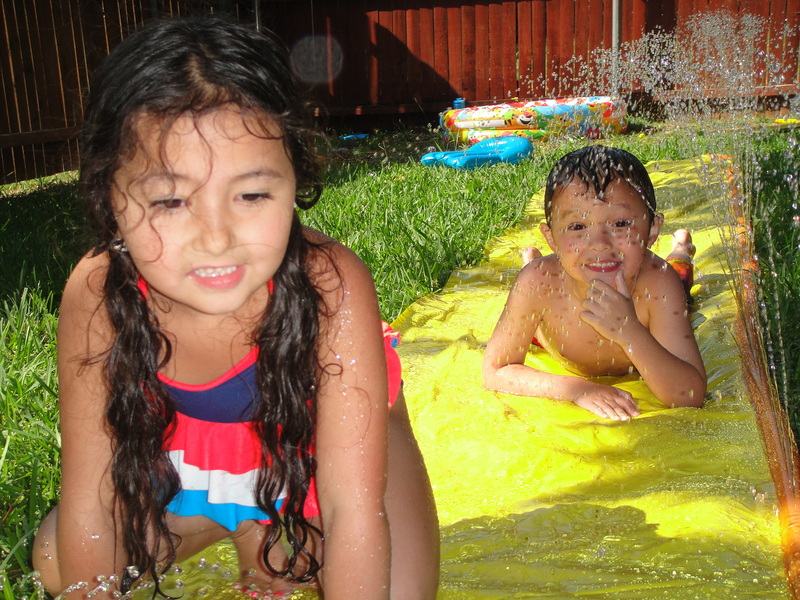 i ended up babysitting my niece as well, so we had a mini water park set up in my backyard and went to town. i don’t get to be a fun aunt as much as i want to-in fact, i don’t remember the last time i was a fun aunt, and that makes me sad…i must do it more often. it’s not a slip n’ slide, it’s an army crawl mat! 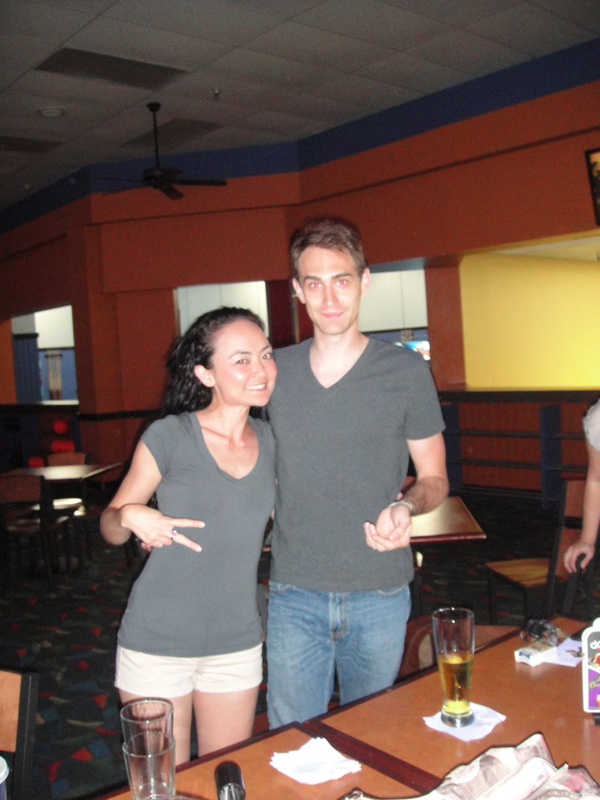 on may 25, in between my late night baking adventure, i went bowling with a bunch of friends. 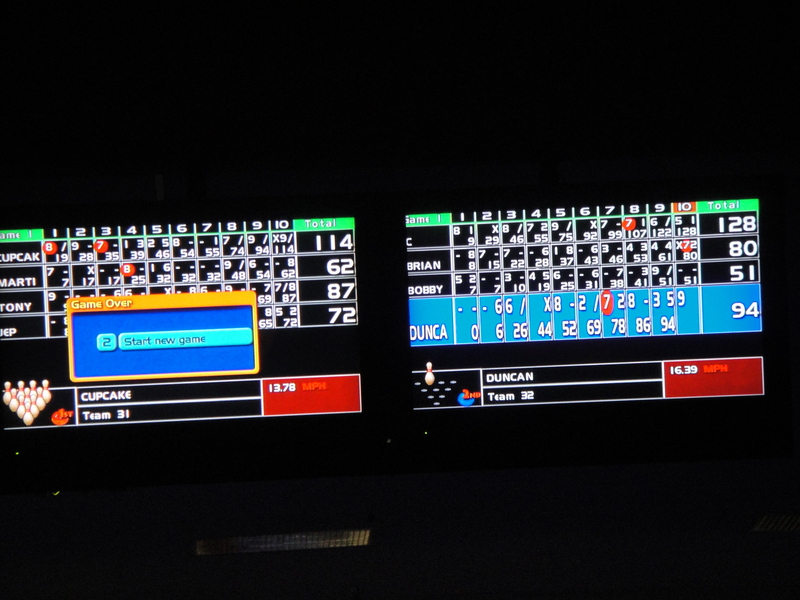 i love bowling. i mean, I LOVE BOWLING. i don’t think i’m good but i don’t care. i even convinced duncan to wear his gray v-neck because i found a gray v-neck that i apparently bought sometime i-don’t-know-when that still had the tag on it…so we took a picture together. the crew. we fight to be the worst bowler or the best bowler. of course my name is CUPCAKE! 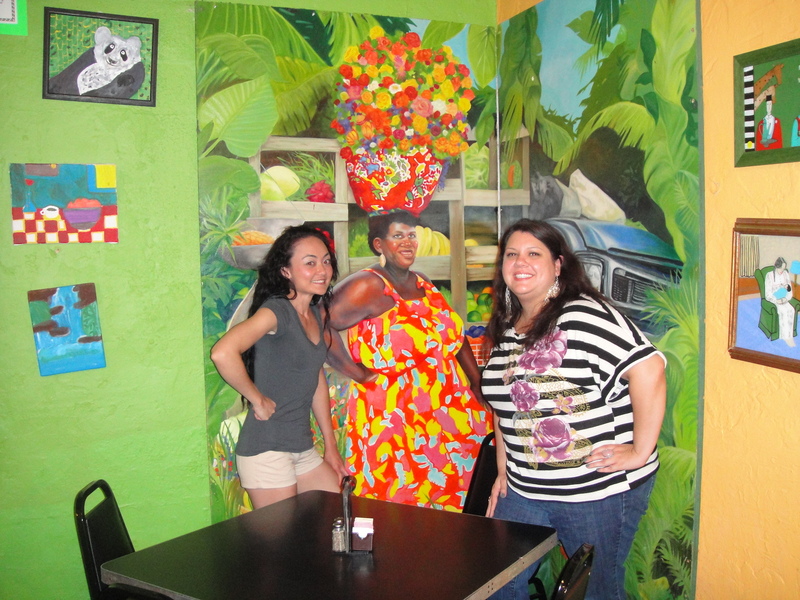 our results after game 1.
after hours dining with….aunt jemima? i enjoy hanging out with friends at least once a week and doing activities that don’t include shooting pool. 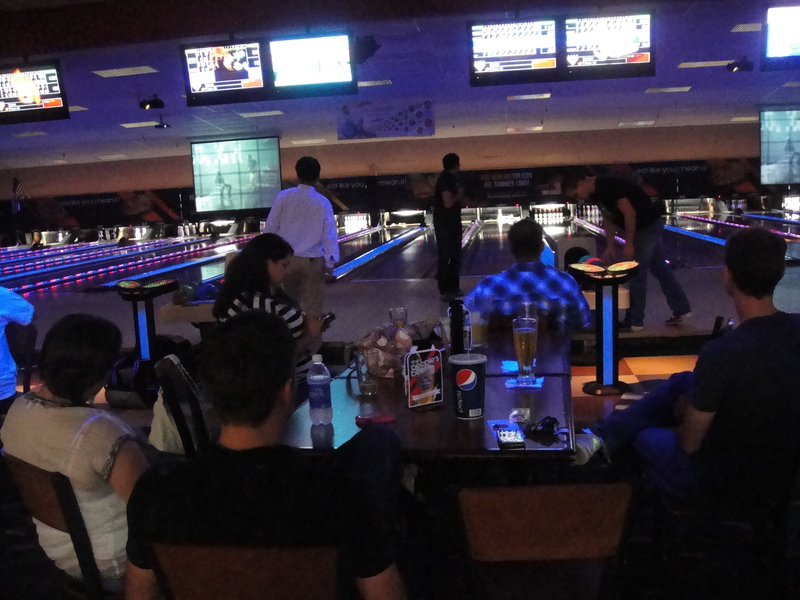 i want to bowl every friday night now. woot! i was going to post about the 10 day juice fast that i did, but it’s past 2 a.m. and i have to be up in 5 hours for work. that was the reason why i asked the question about the nicest thing you have done for yourself. i apologize for not responding to many comments posted on my blog. this month has worn me out. i thought i wouldn’t be as busy this year as i was last year, but it seems to be a repeat. hopefully things slow down enough for me to have a few days by the pool and a few chances to do more activities this summer!! This entry was posted in baking, billiards cupcakes, cupcakes, dating, desserts, food, mini nutella cheesecakes, recipes, weddings. Bookmark the permalink. I’ll defs be making some of the cup cakes! they look delicious! 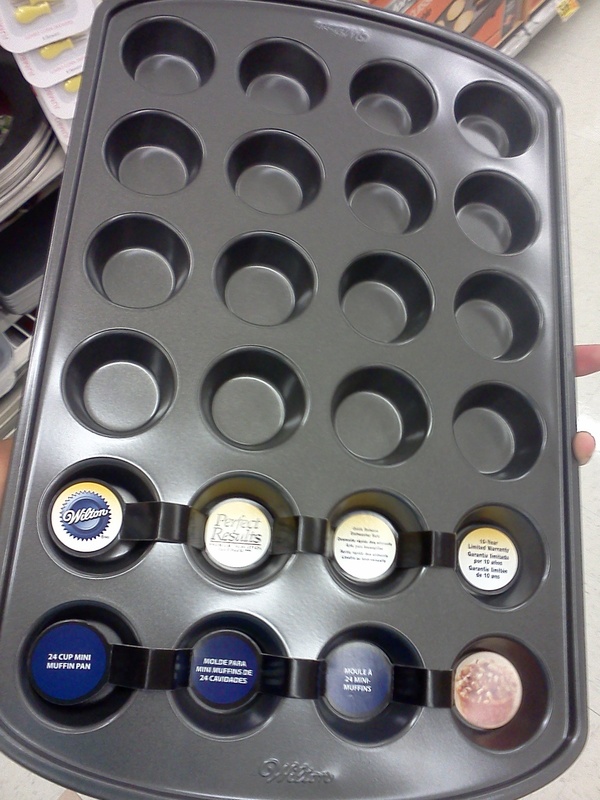 I only have a small silicone tray to make mini muffins/cupcakes, and definitely want to get a bigger pan at some point. They always look so cute! Cupcakes looks yummy! Hmmmm.. maybe for breakfast ! I love the cupcake decorations! Nutella + Cheesecake???? They look absolutely delicious, definitely on my list to make. I love my mini muffin tin as well, everything just comes out looking that much cuter! probably one of the best blogs I could’ve stumbled upon today.. the cupcakes look great! thanks for liking my post! My daughter just said that she hasn’t been a very fun aunt lately. A homemade waterpark sounds like great fun! wow those cakes look so delicious ! !